As I stated in the first post of this series, the Central Benjamin Plateau is guarded by four cities: Mizpah on the north, Gibeon on the west, Gibeah on the south and Geba on the east. Of the four cities, Geba is probably the least known. 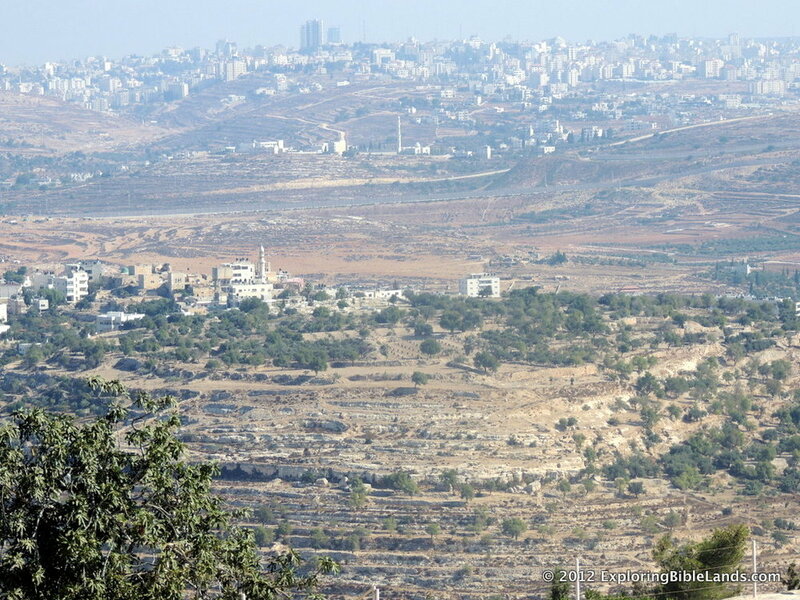 During the time of King Saul, the city was a garrison for the Philistines. During the time of the Divided Kingdom, Baasha (King of Israel) and Asa (King of Judah) were in war against each other. After Asa created an agreement with the king of Syria, Asa built up the city of Geba. When the Assyrians were on their way to attack the city of Jerusalem, they traveled through Geba on their entrance to the Benjamin Plateau. Joshua 9 - After the Israelites conquered Jericho and Ai, the citizens of Gibeon tricked Joshua into signing a treaty. Once Joshua found out what had happened, he honored his agreement, but made them woodcarvers and water carriers. Joshua 10 - After the Amorites heard about the treaty the Gibeonites made with the Israelites, five neighboring kings decided to attack the city. The Gibeonites then called on Joshua to assist them. As Joshua drove the Amorites back toward the coast along the Beth Horon ridge, God cast down large hailstones upon them. Then, as Joshua was continuing to fight, God caused the sun to stand still so the battle could be won. 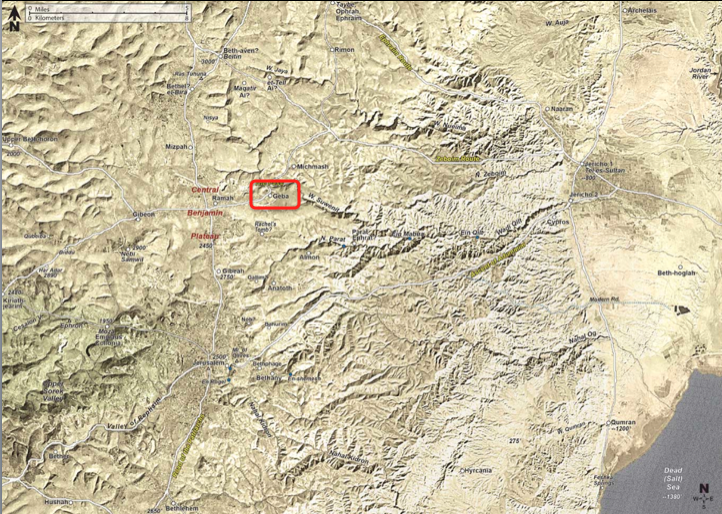 2 Samuel 2 - Abner and Joab met at the Pool of Gibeon where there was a fight between the two armies. Next June, I'm heading to Israel on a Bible Study Tour. Why don't you join me?